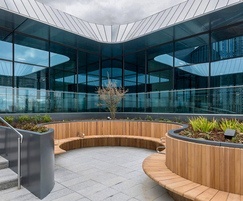 The new BBC Wales headquarters building in Cardiff is a £120 million development in a key location on Central Square, directly opposite the railway station. 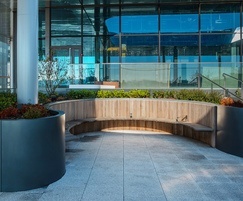 Comprising 150,000 sq ft the building is set over four floors, and includes office, studio and production space for 1,200 BBC Wales staff. 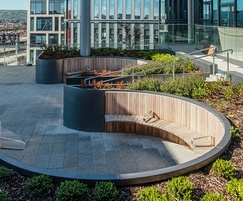 Designed by Foster + Partners, the building forms part of their wider Central Square masterplan for the city centre. 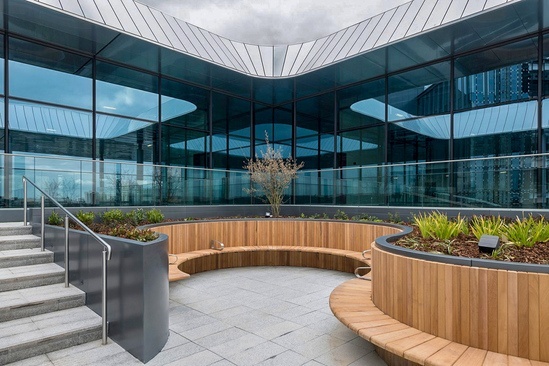 A bespoke metal and timber roof garden concept with a footprint of c.140m2 was commissioned from IOTA for the new building. 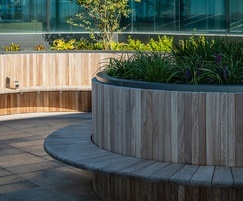 Large and complex, continuous lengths of sinuous iroko FSC timber benching with stainless steel armrests are the central focus of the area. 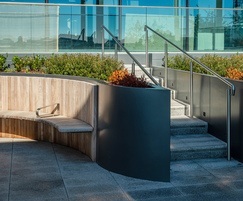 The core structure of the garden was manufactured from 3.0mm zintec steel, polyester powder-coated [PPC] with a specialist product, Powdertech Anomatch BGB 717. 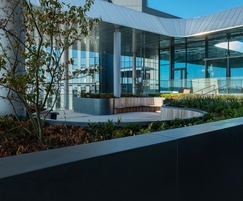 Given the high specification, a robust 4-stage PPC paint system was applied suitable for C3/C4 environments (defined as industrial areas and coastal areas with moderate salinity, and urban and industrial atmospheres with moderate sulphur dioxide pollution). 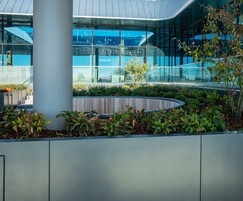 The roof garden is a striking feature of the building. 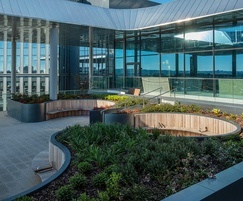 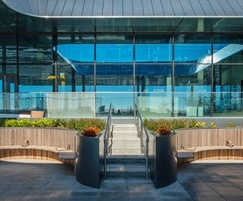 A curved opening in the metal roof plane allows natural light into the garden, which offers views across the city and provides a stunning location for outdoor filming.